Triskaidekaphobia and stage fright be damned – it’s Fray Cafe 13, and there are personal stories to be told! 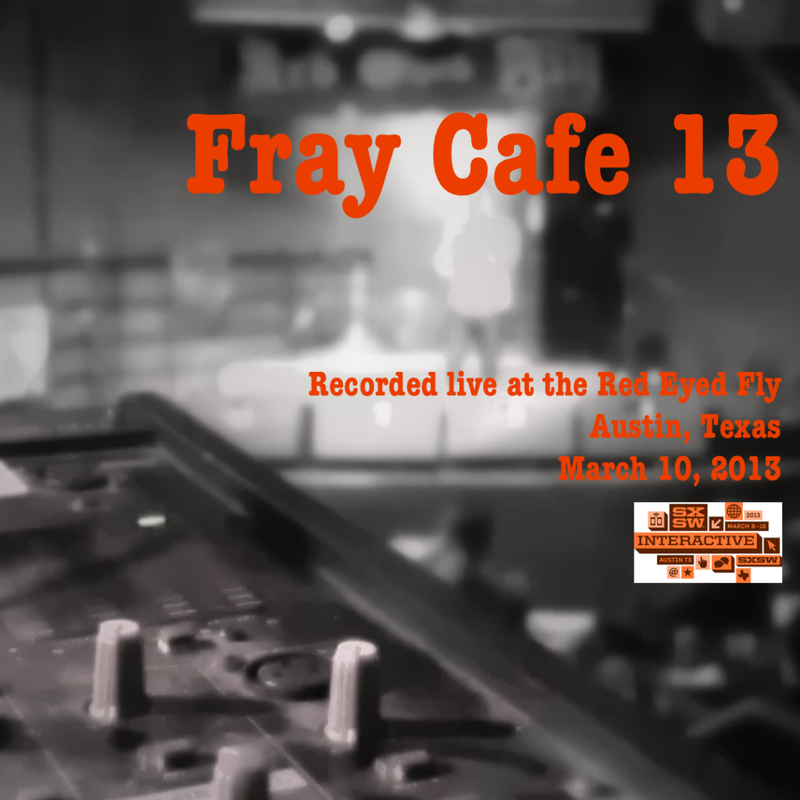 Recorded live at Austin’s Red Eyed Fly on March 10, 2013 and once again hosted by Kevin Smokler, Fray Cafe remains a very personal and intimate oasis in the sea of branding and merchandising that is SXSW in the modern era. Special thanks to everyone who came out and made the evening a success, and as always to the management and staff of the Red Eyed Fly for continuing to find a place for us on their schedule every year. And we’d be remiss if we didn’t thank everyone who donated to ensure the continuation of Fray Cafe @ SXSW!